2007 Predicador Blanco, Rioja, Benjamin Romeo. 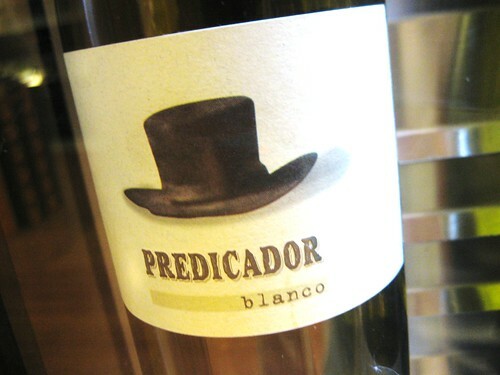 A white cuvée made of Garnacha Blanca, Malvasia and Viura. Weird nose to me: rather floral but reminding cidre and furniture polish at the same time. A bit stinging on the palate, rather high acidity, some wax, slightly alcoholic, a little salty in the finish and a very good length. This is a totally untypical wine to me but I would also agree with you if you think my notes are a bit untypical too. 2007 Font de La Figuera, Priorat. Cuvée of Garnacha Blanca and Viognier. Slightly floral nose. Pungent palate with assyrtiko-like acidity. Quite long finish but also with lots of alcohol feel. I kept the description short because this wine isn’t really my cup of tea anyways or it might need an adequate food match. 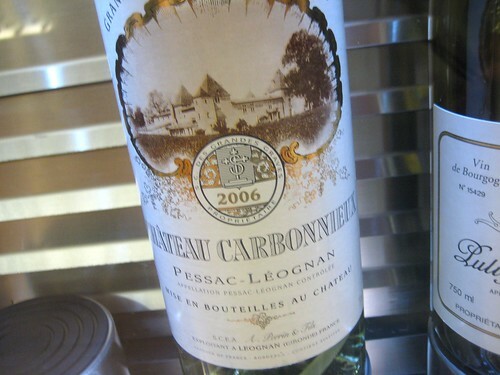 2006 Château Carbonnieux blanc, Pessac-Léognan. One of the prestigious whites from Bordeaux made of Sauvignon Blanc, Sémillon and Muscadelle of course. Much more round and balanced than the 2 wines before and with an excellent texture. Aromatics were quite intense, and while they seemed a bit banal from the start, they developed fast into a mysterious amalgam of slight smoke notes with fruit and elegant acidity. One can see that the wine is still very young but the wood is certainly very well integrated. Interesting first encounter with this wine for me! 2006 Puligny Montrachet, Domaine Leflaive. Very intense nose (reminding a Riesling BA or TBA in intensity) of herbs, lemon balm, mint freshness, some honey. Appears concentrated and balsamic on the palate. Palate feels a little floury or dusty in texture also and has a strong but elegant acidity. The finish seems a bit short though compared to all the intensity on the front-end. But that nose is just awesome; you could sniff it for hours. Price tag is 50 Euro btw, getting more and more expensive. 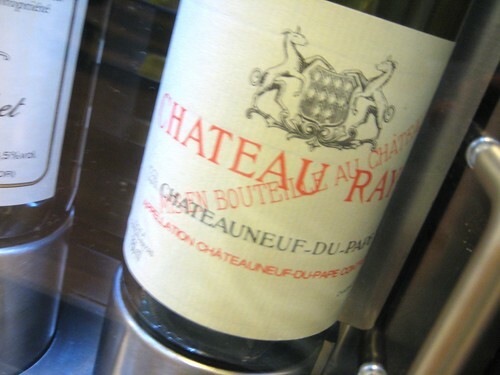 2002 Rayas Blanc Résèrve, Châteauneuf-Du-Pape. Another blockbuster white wine. Very dark colour. Very intense nose, ethereal and lemony. On the palate stern with strength and steel impression. It appears not that broad but alcohol seems a bit too apparent still. Finish is quite short which is a bit disappointing and it shows a bitter aftertaste. It might still develop but I’m not sure I’d spent 80 Euro on that bet. 2006 Deserto, Azul y Garanza, Navarra. 100% Cabernet Sauvignon. Very dark colour. Fat and jammy nose. Appears soft on the palate. Lots of sweet and overripe fruit, some spice but also a slight bitterness in the end. Very long finish. Its sweetness and fruit make this wine a crowd pleaser and probably girls’ favorite. But this modern style with lack of subtlety isn’t quite what I would look for, especially not for 50 Euro. 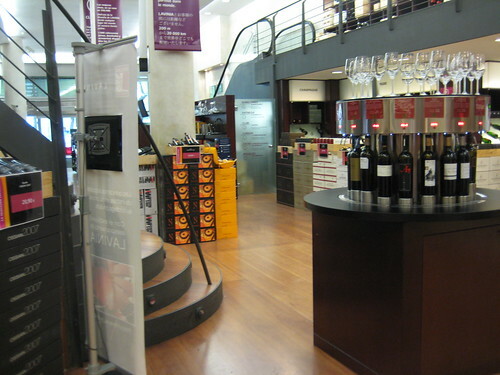 2006 Finca Santa Sabina, Bodega Otto Bestué, Somontano. 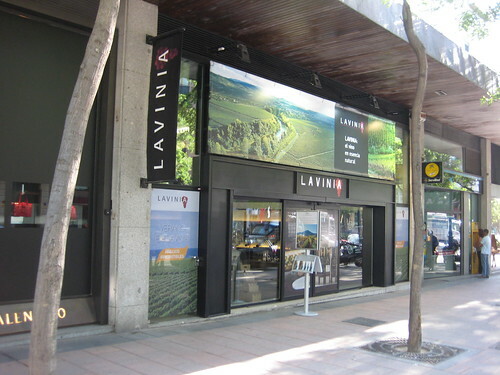 Cuvée of Cabernet and tempranillo. Very exotic nose of Coconut and chocolate, or should I say exotic barrel note? But it is quite elegant and not overdone. Mouth shows a medium tannin structure with fine grained appearance. Nice fruit of cherries and berries, medium long finish. 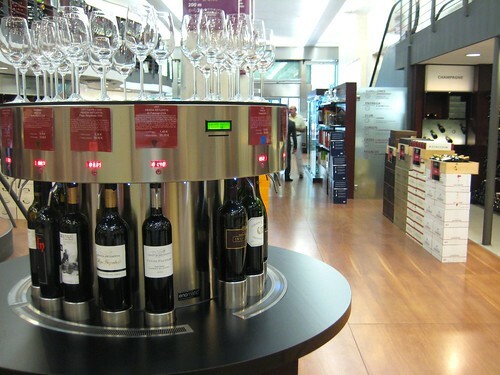 For 13 Euro, definitely a modern styled wine I would consider buying. 2007 Côte Rôtie “Only 23”, Jean-Michel Stéphan. Very young wine. Loads of spice but also lots of wood. Appearing even younger on the palate with a wall of tannins. Thus being astringent. Fruit is also there and the cherry taste seems nearly exaggerated. An impression of cigarbox is very clear. The finish seems medium long. Definitely a wine that needs many more years of cellaring. 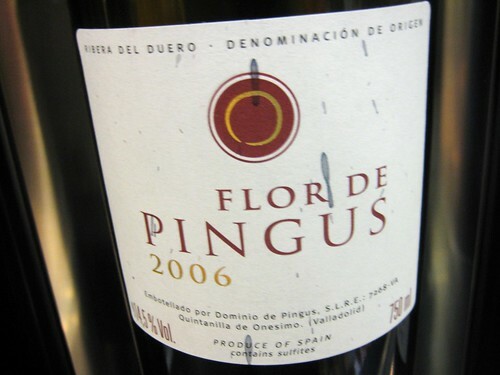 2006 Flor de Pingus. The small brother of Peter Sissek’s legendary Pingus from Ribera. Very ripe fruit. Appears sweet with fine tannins but the impression of a thin wine also persists. Compared to the excellent 2004 I once had, this is ridiculously simplistic and plump and for 95 Euro someone’s being fooled in my eyes. But maybe I’m wrong and it just needs more time and air. Parker gave it 94 points I heard. 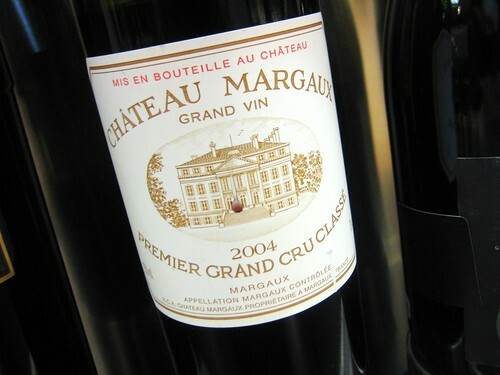 2004 Château Margaux. Another legend(ary name) which I was keen to compare with the VSU. Nice colour. Perfect nose of saddle, berries and dark bread. On the palate it unites finesse with power. Nearly perfect body, voluminous but not overdone. Leather, blackberries and spice on the palate. Somehow tart and fruity at the same time. Beautiful finish with a nice length. 95. This wine seems much more honest to me than the Vega Sicilia, much less made and technical, maybe with a bit more Terroir expression. But then again, comparing a 2004 and a 1998 probably ins’t fair. WOW, Du läßt es ja echt krachen……..